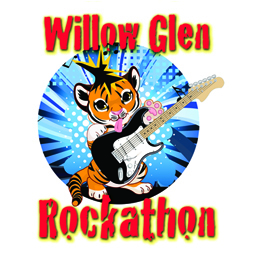 The PTA hosts the Rockathon each year to raise money for classroom enrichment programs. It’s the one PTA fundraiser in which students get an opportunity to participate. The 2018 Rockathon will be held Friday, Oct. 19, in conjunction with College Day, when students can represent their favorite college with a T-shirt or sweatshirt. All students participate and get some exercise, regardless of whether they’ve raised any funds. The goal is to walk a 5K (10 laps around the school). Be sure to send your child to school with sunscreen, good running shoes and a water bottle! We ask students to collect pledges. All the money collected goes toward essential programs like Little Heroes, Schmahl Science, art, garden, music, field trips and classroom supplies. Keep an eye out on Konstella and the Tiger Folder for details on how to pledge. This year’s goal is $30,000 — if each student raised just $40, we’d reach it! All pledge earners are entered in a weekly raffle to win amazing prizes! The earlier they start collecting, the better chance they have to win! We also need parent volunteers the day of the Rockathon. This is a GREAT opportunity to spend a fun Friday afternoon with your Rock Star! Keep an eye out for requests for volunteers on Konstella. If you want to be a part of the Walkathon “Staff” please send an email to walkathon@wgepta.org. All donations must be collected and turned in by the Friday after the Walkathon! Late contributions of course will be accepted but will not be considered when awarding prizes.